The Tour Spot is always looking at the latest trends when it comes to the equipment that touring professionals choose to play. It’s amazing what can happen in little over a year, especially in the golf equipment industry. Case in point: Miyazaki Golf shafts. Many of THP’s readers have become very familiar with the Miyazaki brand since it was introduced during the 2010 PGA show. At that time, Miyazaki had just launched their offerings on the PGA Tour and they were creating quite a buzz. 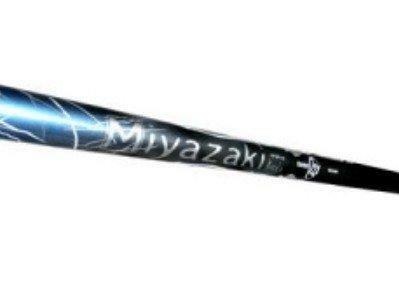 For those of you that are unaware, Miyazaki has been making and developing shafts for over 20 years. However, until recently, they were virtually unknown outside of Japan. In a very short time, tour acceptance of these shafts has grown at an astounding rate. Here is a bit of information about the growth that this company has seen. The number of Miyazaki shafts in play across the many worldwide tours is quite amazing; especially when you consider the short amount of time they have been available. Currently, there are around 150 touring professional using Miyazaki shafts in everything from drivers to hybrids. That comes out to well over 200 shafts being used professionally at this time. To go from zero players on Tour to over 150 within a couple of years is an amazing feat and definitely has THP wondering what is in store for this company in the near future. One thing almost all tour players have in common is that they demand the best and will not risk their livelihood on inferior equipment. It is remarkable for a virtually unknown company to have this type of growth in such a short period of time. Another thing that has been interesting to see is that quite a few players have put Miyazaki’s lightweight shaft, the C. Kua, in play. For a lightweight shaft to hold up to the swing of a professional golfer speaks volumes about the stability and quality of this line. In a game of inches, adding 5-10 yards can make a huge difference and it seems that some of golf’s elite are taking advantage of what Miyazaki has to offer. 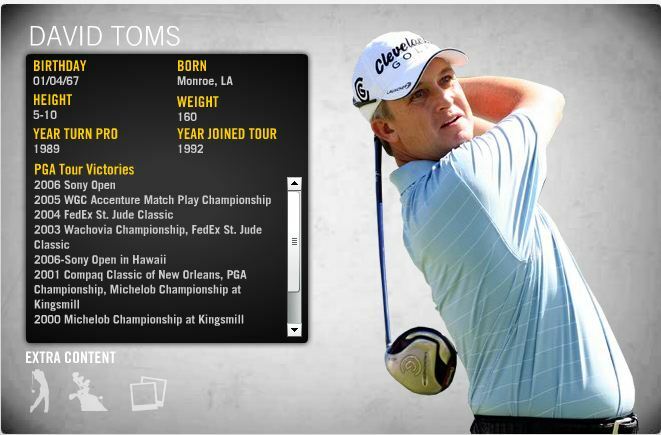 David Toms, a Miyazaki staffer, recently jump-started his career with a T3 finish at the Arnold Palmer Invitational as well as four 2nd place finishes since 2009. Jerry Kelly is another notable PGA Tour player carrying a Miyazaki in his bag. Kelly had a strong 3rd place finish at the 2011 Honda Classic and had a great year in 2009 when he won the Zurich Classic and the Shark Shootout. Fan favorite Boo Weekly is one of the more recognizable professionals that plays a Miyazaki shaft, as is Vijay Singh. It certainly can’t be a coincidence that so many exceptional touring professionals are choosing the Miyazaki brand. Miyazaki has seen amazing growth since being partnered with its sister companies, Srixon and Cleveland Golf. It appears that the combination of exceptional quality, performance, and style in the Miyazaki line made quite an impression among professional golfers around the globe. Stay tuned to the Tour Spot, as THP will be watching closely to see what the future holds for this relative newcomer to worldwide stage. Anybody that keeps up with THP had to know that it was just a matter of time. I have owned 3 Miyazaki shafts and have loved every one of them. My Dromos shaft gets a lot of attention when I pull my driver out of the bag. I wonder what the tour presence will be in another 2 years? Way to go Miyazaki! Of those guys, which ones/how many are playing C. Kua’s compared to Kusala’s? Great write up. I’d be interested in the numbers TC is asking about as well. I love to see lightweight shafts hold up to the, ya know, fast swings. Just shows that lightweight does hold up to fast swings. I mean if the PGA Tour can, I believe us non touring pro’s can do the same. All about finding what works and throwing pre conceived notions out the door. Interesting article and impressive showing by Miyazaki. As someone in the market for a new driver, I am starting to learn how important shaft selection is and look forward to seeing what is recommended. No doubt that Miyazaki is making a name for themselves! Good quick read Hawk! Hopefully Miyazaki continues it’s growth and success going forward. Haven’t hit the Kua or Kasula, but I love the Dromos in the Srixon Z-Star woods this year. Great company providing an excellent product – they’ll get their due. Great write up Ryan! IT just goes to show that good things happen when you make a top-notch product. Well done Miyazaki! I am really interested in trying a Miyasaki with my R11 head. I love my driver, but with all of the great things I hear about Miyasaki, it makes me want to see what that combo would be like. I have hit the Miyasaki in the Z Star, SL 290 and my Mashie and I was very pleased with the shaft in each. Love the respect this shaft gets on tour, and on THP. Great article there Ryan. Just got a Cleveland FL 3 Wood with the C.Kua shaft. love it, I’m really smokin that club but I do notice the shaft finish seems very easy to scratch/mark up. It has more scratches in a few weeks than my driver or hybrid that have both been in the bag for almost two years. I love the stiff profile shaft found in the XL 290. These are great shafts when you find the one that suits your needs. Excellent info on the Miyasaki shafts. I am very impressed with all rave reviews for those shafts in the Mashie. I look forward to when I can try clubs with these shafts. Great write up. I just started gaming a couple of Mashies with the Miyazaki shafts in them. Great shaft, and I’m glad to see their presence on tour growing. I have Miyazaki C.Kua in my 3w and its awesome. The feel is incredible and dont think I will ever switch to another shaft in it. Glad to see there getting noticed more and more! I am new to this shaft and I have to say it is taking some getting used to. I have traditional swung a heavier shaft in all of my woods. The Miyazaki is so lite in comparison to the Proforce or the Ei70. When I am firing on all cylinders my 3w goes a long way. I really feel as though I have to hold back and mKe an easier swing. Does anyone else feel this way? It’s going to take some getting used to but I do like the new feel I get with it. Cannot wait to try the Miyazaki shafts at the outing. I love the C Kua that comes stock in the Mashie. Tour growth of this shaft is amazing. Will definitely consider these in my next driver. Thanks for the info. Nice writeup on yet another quality shaft that I’ll have to put on my short list to try out!